Capcom is gearing up for a big 'ol Independence Day sale, appropriately slashing prices on all products offered at their online Zazzle store. 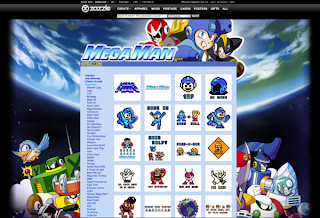 If you're in the need of some sweet Mega Man swag for the summer, then this deal is for you. 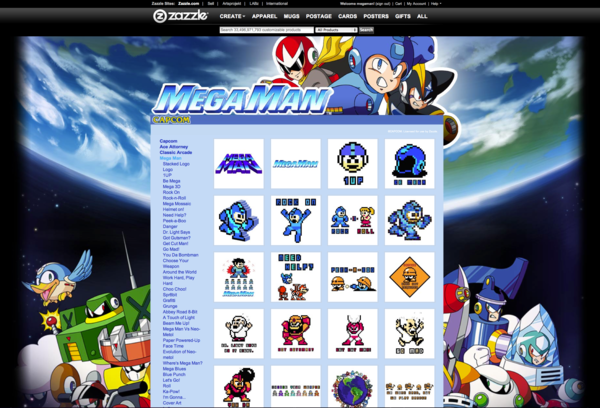 At the Mega Man wing, you can browse designs and then customize products to your liking. Apparel, mugs, skateboards, aprons, iPod speakers, laptop skins, mouse pads, and even doggie shirts. You name it, you can slap Mega Man on it. Everything you see will be marked down 20% come Friday, June 29th. You've got a few days to scrounge together some Zenny, so take this time to look around. Gotta say I like that "Mega Wood" design a bit. That's either going on a mug or a mouse pad. I'll be getting shirts with my favorite designs more than likely! So cool!